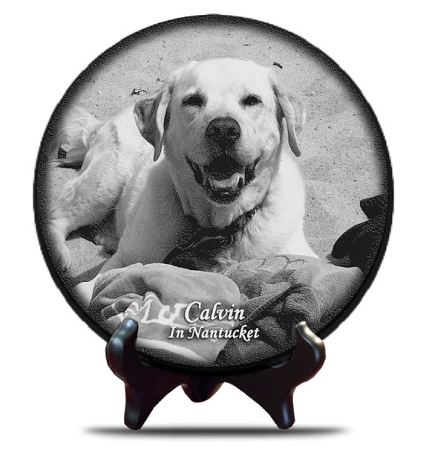 Engraved Photo on Marble 6 x 6 Round. Easel not included. Draft is provided in 3-4 business days. Upon approval of the draft, the finished product is ready to ship in 1-2 weeks. Allow 3-5 days for shipping. 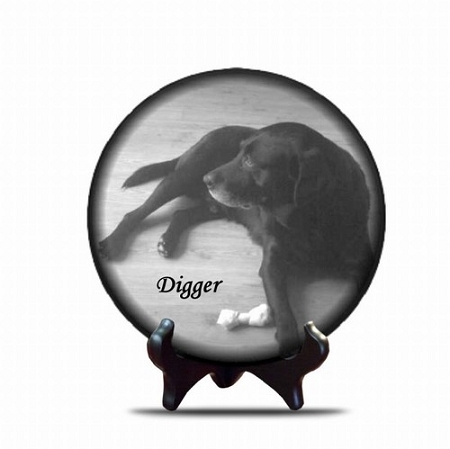 Round marble with engraved photo. My Maggie was the light of my life. My favorite picture of her showed her cataracts and some background that I didn't want. OurCornerMarket created a photo that was perfect. They "restored" Maggie's eyes and removed the background.